Cody Lee Meyer buzzes with energy when he talks about farming on Kauai. It’s not just about everything he’s accomplished over the last 18 months creating The Farm at Hokuala and transforming an overgrown golf course trampled by wild pigs and chickens into a bountiful fruit orchard and organic vegetable garden. 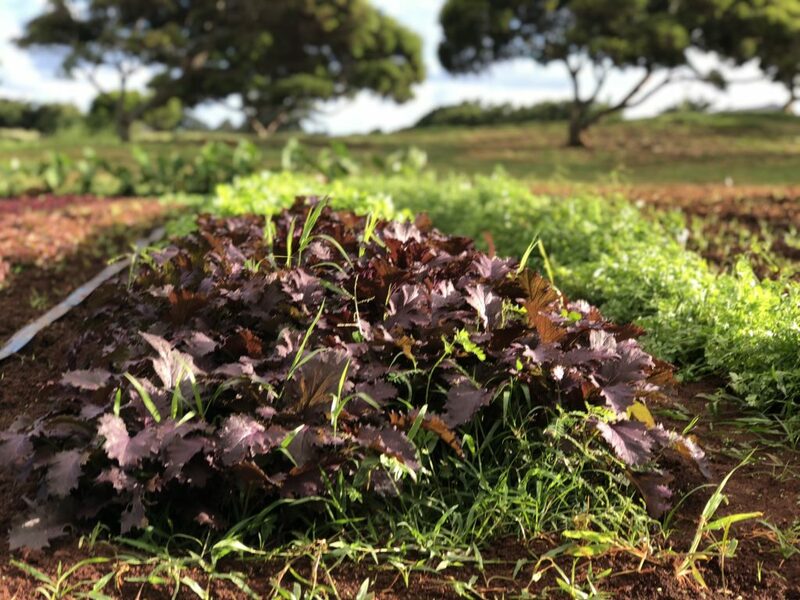 It’s not only about providing Chef Luis with the cream of the crop, so to speak, when it comes to creating fresh, seasonal farm-to-table dishes for Hualani’s Grill. Or the fact that Meyer has created a true community farm with an agriculture education program for local schools and weekly tours for visitors who have the opportunity to pick their own food for special chef-prepared farm-to-table dinners during their stay. 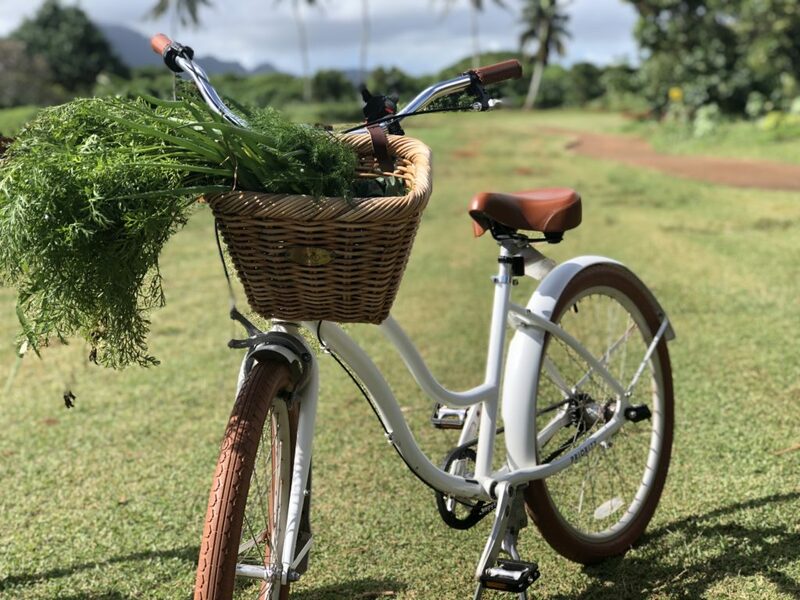 Fresh organic produce is part of daily life for owners at Timbers Kauai who can cruise to the Farm on bikes or have groceries delivered to residences. The Farm at Hokuala has a breathtaking backdrop featuring everything from greens, fruits and vegetables to edible flowers, pineapples and traditional Hawaiian canoe plants like kalo, noni and breadfruit. Eventually, he landed on Kauai where he immediately felt at home. “It was very special, very sacred, and very green. After having worked in a cold place surrounded by grizzly bears, penguins, and wolves, seeing all that vegetation was so therapeutic.” After working in a few kitchens, he wanted to get outside, so he sought out the most experienced local farmer he could find. That lead him to “old Kapuna” Phil Sheldon, a farmer from the South Shore who started the first organic association on Kauai. Meyer worked for there for three years, learning everything he could about farming on the island. From there he went on to Steel Grass Farm and then to the Farm at Hokuala, where he has been given the opportunity to literally create something from the ground up. “My passion is to learn farming from our elders to bring back our roots and to educate the kids how to grow their own produce, because if we don’t do it, who will?” He donates as much surplus food as he can to local schools and shelters. “I want to give away as much food as I can,” he says. Farmer Cody with the volunteers working with Malama Kauai to donate food to Kawaikini Charter School and Lihue Food Bank for Thanksgiving. Planting roots with your ohana: Farmer Cody, Farmer Brittany and little Rosa in a kalo patch on the Farm at Hokuala.